The U.S.-Mexico border crossing in San Ysidro is sometimes referred to as the busiest land border crossing in the world. 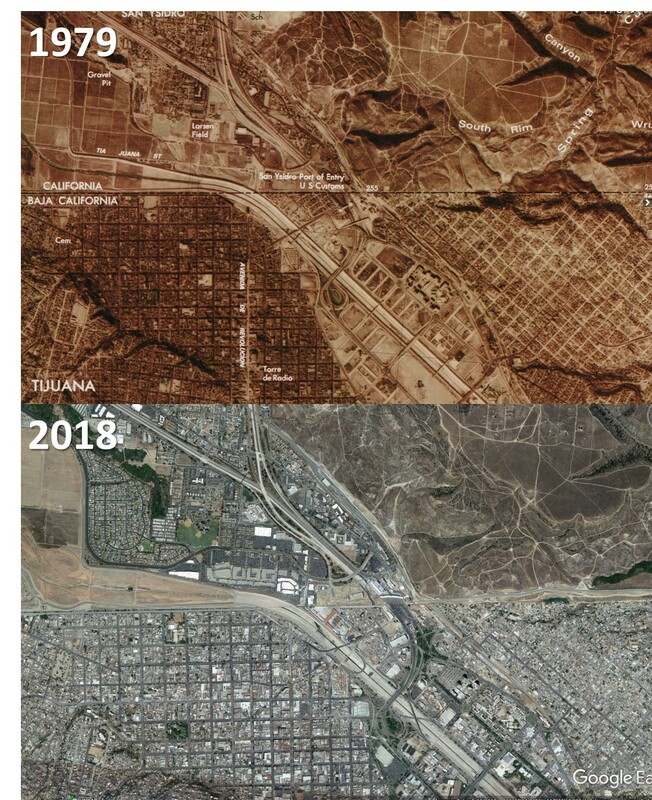 Comparing these two images you can see how the region has developed from 1979-2018. Image courtesy of U.S. Library of Congress and Google Earth.